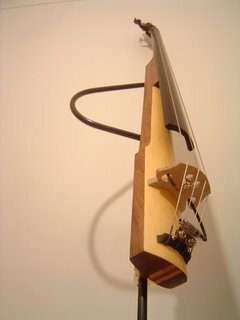 I made this in 2005 for a double bass student of mine. The playing dimensions are the same as a double bass. This makes it easy to swap between playing the two. This bass has a real double bass quality of sound.